Here at Assisted Pet Care we specialise in offering a unique set of pet care services exclusively for the elderly and disabled community. We create a personalised Pet Care Plan with each Client and cover all aspects of pet care from dog walking to veterinary visits, feeding and cleaning - each service is tailored to our Client's needs. As a non-medical domiciliary service we are a great addition to other care services with our focus being the pets and pet ownership. Owned and opperated by Manchester's leading pet services provider Dragonfly Pet Concierge, we are well placed and experienced in bringing these specialised services to Manchester elderly and disabled community. As a family run business all educated to degree level our services are professional and personal, a truly caring service for both pet and owner. 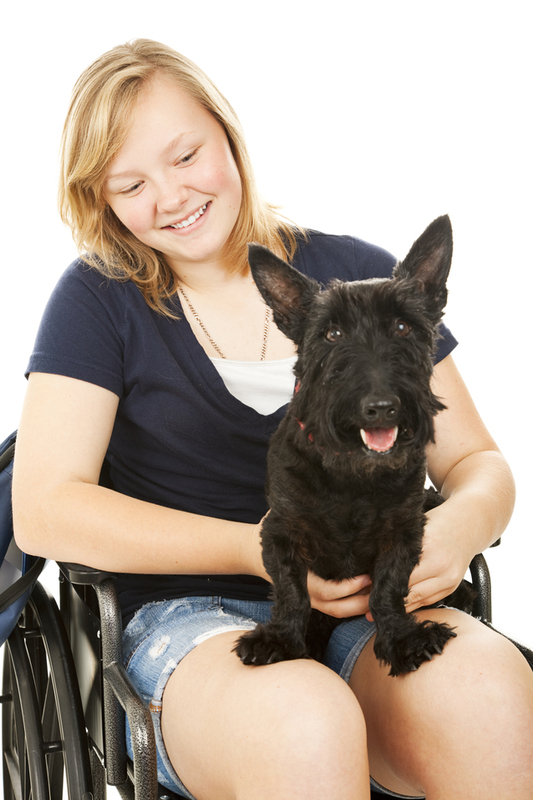 We are a home visiting (domiciliary) service with a specific aim of keeping pets and owners together. We are a specialist supplier of pet services exclusively for the elderly and disabled community. We are fully insured and offer a unique set of services tailored to the needs of our Clients and their pets. We can liaise with your GP, solicitor or family members to make everything hassle-free. We are chosen by leading Manchester Law firms to provide services for the Clients of estates they manage. We believe pets are good for health. Assisted Pet Care was created to offer professional pet services to the elderly and disabled - amongst our aims is a very important belief of keeping pets and owners together. Dog walking forms a large part of of our daily activities. We walk 1-2-1 at no extra cost, 7 days a week in all weather conditions. It is common for Clients to approach us because they feel guilty because they are unable to take their dog on walks or it becomes dangerous in bad weather due to medical conditions. Our service is here to help both owner and pet. Our Clients enjoy listening to stories from the walk or seeing pictures and the pets are happy and healthy. We offer a flexible, daily or occasional service to suit your needs. For full details see our brochure of contact us. We can visit pets to let them out, feed and water or clean litter trays. This service can also be used even when in hospital or on a holiday to provide care for animals which may be home alone - a loving alternative to catteries. As well as taking pets to the groomer in some instances it may be the case we are asked to wash a pet at the home. We can also maintain nails and coats with regular brushing and nail clipping if the animal is happy to we can also clean teeth and look after general hygiene such as offering treats that help with breath or applying pet deodorant. All of which may now have become harder for our Clients to do themselves. Often our Clients need help to administer their pets medication and to maintain an accurate record or their pets health. We are also experienced in working and liaising with vets and can collect prescriptions. We are happy to poop-scoop the garden on a regular basis and will of course clean up after animals including taking care of their litter trays, food bowls etc. Where another service has failed to turn up we have been known to take over their cleaning duties to ensure our Clients are respected and comfortable. Let us do all the lifting... bags of dog food are often large and heavy or it may be that you need to stock up on treats and toys. We can do all types of shopping for you and have even provided a daily service to buy a newspaper before a dog walk. When asked we can use our time to sit and talk with Clients and or facilitate play time with pets. A game of ball often causes problems for our Clients if the ball becomes hard to reach but with our help playtime becomes fun and easy. We bacome a trusted friend and build special friendships with all our Clients. Many Clients choose to see us 7 days a week meaning we are a reliable daily contact for our Clients and their Families. From trips to the vet to pamper days at the groomer we have it covered, inclusive of the price paid as there are no extra costs for mileage or return journey. We can arrange to pay the groomer or vet direct and invoice our clients. We get asked to do many things you might not have thought we do. There have been times that we have installed and maintained bird tables in front of windows for our Clients who enjoy sitting and watching feathered friends. We often get asked to report back on other care services to attend when there is a gas/electric safty inspection and liase with family about the welfare of both oet and owner. Why not visit our dedicated Cat Sitting website 'Cat Sitting Manchester' www.catsittingmanchester.co.uk to find out about our cat sitting services, our loving stay at home alternative to catteries in Manchester, Prestwich, Tameside, Salford, Failsworth, Didsbury, Chorlton, Burnage, Withingtonand all parts of Greater Manchester. Download our current cat sitting service brochure from the cat sitting Manchester website. Manchester's dedicated cat sitting service.